Oak Ridge National Laboratory's main campus is shown in 2013. U.S. Rep. Chuck Fleischmann on the opening of ORNLs Chattanooga office. 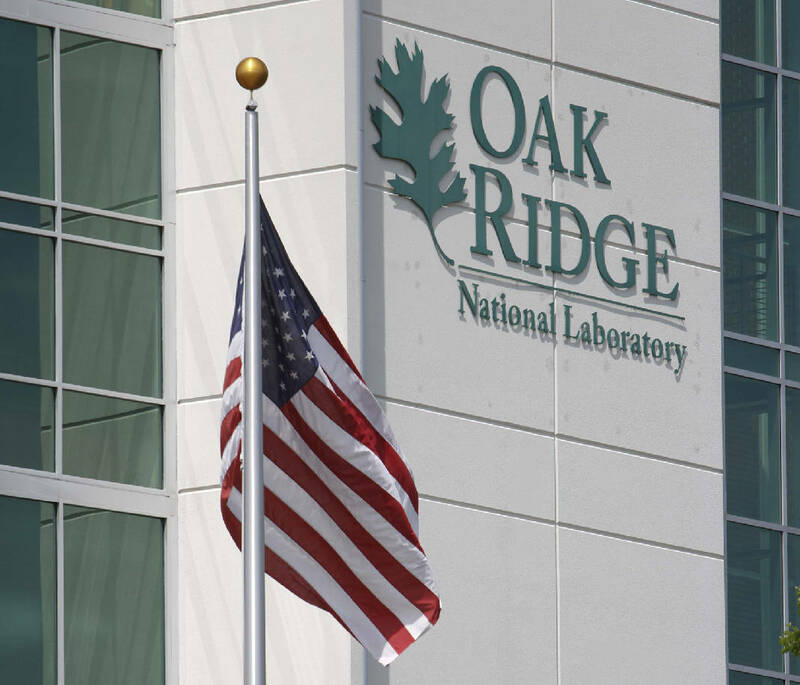 › What: Oak Ridge National Laboratory is the largest Department of Energy science and energy lab. Clean energy technology, manufacturing, logistics, and computer and data analytics are areas ripe for new partnerships, Chattanooga and Oak Ridge National Laboratory officials said Thursday. "Today is a wonderful moment," said Chattanooga Mayor Andy Berke about the opening of a one-of-a-kind ORNL office downtown. "What this office means to me is that it gets access to incredible talent in Oak Ridge." A veteran of ORNL's industrial and economic development team will head the Oak Ridge, Tenn., lab's office located at EPB's headquarters in Chattanooga's Innovation District. Jeff Cornett, 53, manager for industrial and economic development at ORNL, will act as a liaison to Chattanooga and try to figure out how to create collaboration. One of his jobs will be to connect individuals and companies with U.S. Department of Energy programs. He'll also support Chattanooga area manufacturers that need problem-solving help. "I look forward to helping Chattanooga's vibrant business and industrial community find ways to leverage ORNL's world-class research capabilities and technical expertise," Cornett said. U.S. Rep. Chuck Fleischmann, R-Tenn., who led the effort to secure the office, said ORNL is "open for business in Chattanooga." "This will be a legacy day in Chattanooga," he said. "We have some resources in Oak Ridge that nowhere else in the world has." Thom Mason, who heads the lab, said it's already working with EPB in relation to the smart grid, but the office could serve as an example for the rest of the country. "We cheated a little bit and got started in advance looking at the future of the smart grid," he said, adding the new office can become a valuable resource for "the region's innovation ecosystem." Hamilton County Mayor Jim Coppinger said partnerships are what the city and county do best and the new one with ORNL is "one we'll cherish for a long, long time." While helping the city's business startups, ORNL can bolster existing industry, the University of Tennessee at Chattanooga, Chattanooga State Community College, the small business incubator and STEM (science, technology, engineering, and mathematics) education in public schools, he said. Also, Coppinger said he sees advantages in recruiting new business to Hamilton County. Joe Ferguson, EPB board chairman, noted that Fleischmann put together a bus trip to Chattanooga of ORNL officials some two years ago. While visiting EPB's operations center, they saw the potential of jumpstarting the smart grid of the future, he said. That dialogue was a catalyst in the opening of the office, officials said. Fleischmann said some of the work ORNL is doing is revolutionizing manufacturing, citing 3-D printing and carbon-fiber research. ORNL now will have a physical presence in the city as well as be a conduit to Oak Ridge's resources, he said. "If you have an idea, you can bring that," Fleischmann said. Berke said the office is another asset for the Innovation District, the 140 acres in the central city where entrepreneurs, startups, and business incubators can mesh. The mayor said the Chattanooga in which he grew up had hung onto its past for too long. "Economic progress is built on seeing those next steps forward," he said. "Companies see market trends and take advantage of them. Today what we need are strong innovative ideas and abilities to operationalize them and put them together in a way that makes money."